Here you are going to find all the products that I use and recommend to my clients. I am an affiliate for some of these products so I do receive a small commission if you use that link to buy them. They are noted with a star. I never recommend anything that I haven’t used myself and I am a huge fan of the things on this page. I would set all new entrepreneurs up with all of them if I could. *Evernote: The best place to keep your thoughts and notes. 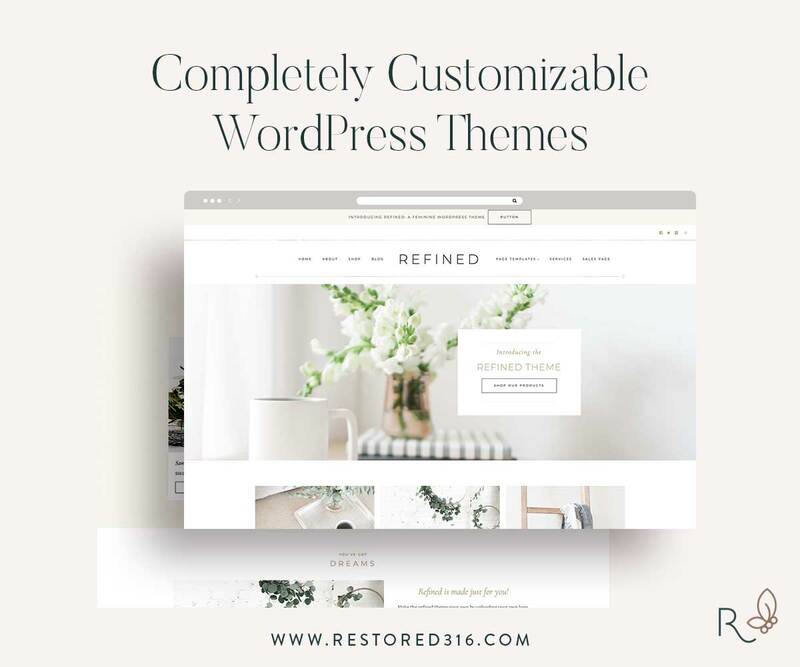 *Restored316 Themes: My favorite theme provider. Great support and beautiful themes. Integrates beautifully with ConvertKit. *Acuity Scheduling: Great calendar for setting appointments and meetings with clients. Integrates with Google and ConvertKit. So simple to use. Google systems: Drive, Calendar, and all the rest. They are top notch and free.